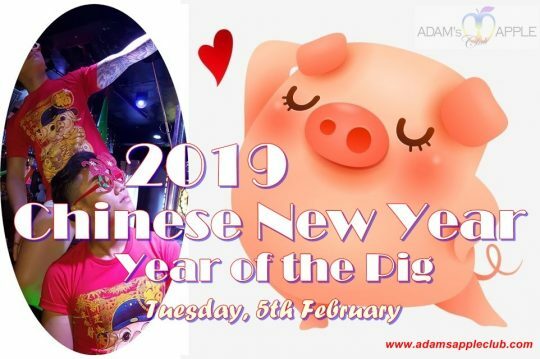 The festivities to the Year of the Pig – START TONIGHT! 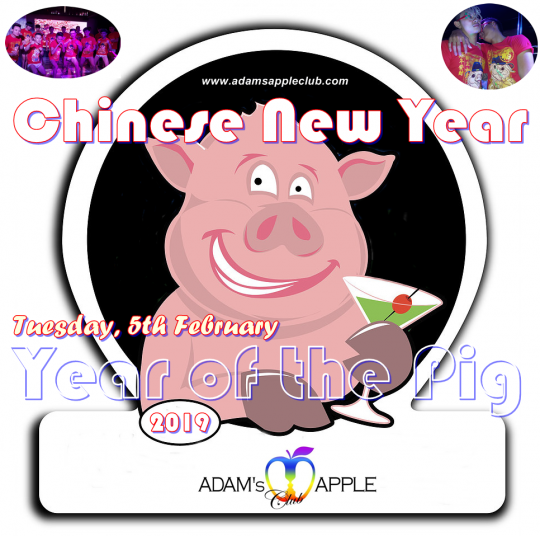 Definitely 100 % the best HAPPY CHINESE NEW YEAR PARTY in Chiang Mai @ Adam’s Apple Club Chiang Mai. You’ll never forget this party, it’s the most breathtaking and exciting party you’ll ever experience. Adams Apple Club the best know Host Bar in Chiang Mai with the hottest Asian Boys and the best Cabaret Show in town. See you at the No. 1 Host Bar in Chiang Mai in Adams Appel Club.